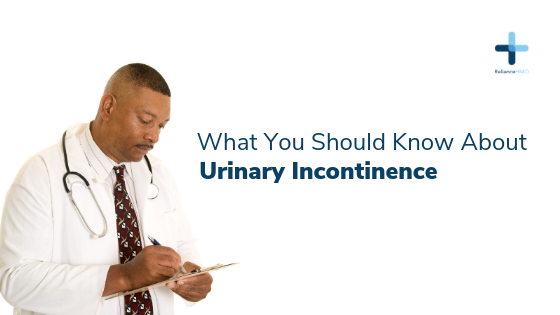 What you should know about urinary incontinence. Urinary incontinence is the involuntary leakage of urine; in simple terms, to wee when you don’t intend to. It is the inability to hold urine in the bladder because voluntary control over the urinary sphincter is either lost or weakened. The severity may range from temporary to chronic, depending on the cause of this disease. Urinary incontinence is more common in women than men and can be categorized into three types. There are a number of causes of urinary incontinence including old age, cancer and neurological disorders. Menopause: Estrogen is a hormone that keeps the lining of bladder and urethra healthy. After menopause the production of estrogen is decreased, increasing the chances of urinary incontinence. Urinary incontinence is not preventable but some steps can be taken to reduce the risk of it. Maintaining a healthy lifestyle, avoiding smoking, practicing pelvic floor exercises, avoiding caffeine and acidic foods and eating more fiber to prevent constipation can help reduce the risk of it. Previous Post Previous post: Are you at risk of developing hypertension?